Our knowledge about the heart dates back more than two millenia. Already in the days of Aristotle (350 b.c.) 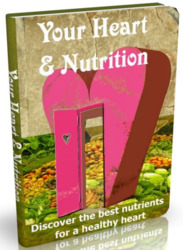 the importance of the heart was recognized, and it was, in fact, considered to be the most important organ in the body. Other vital organs, such as the brain and lungs, were thought to exist merely to cool the blood. Over two thousand years later, the heart maintains its position as one of the most important, and also most studied, organs in the human body. 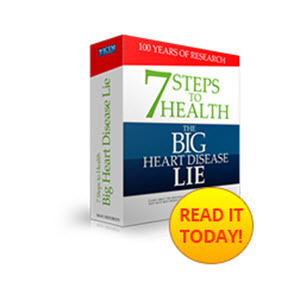 During the last few decades, the quest for knowledge of the heart has been motivated, not only by a desire to uncover the secrets of this vital organ, but also by its growing clinical importance. In the western world, heart failure is by far the most frequent cause of death, and the related financial and personal costs are huge. An improved understanding of how the heart works may lead to new techniques for the diagnosis and treatment of heart problems, and this serves as motivation for the enormous resources that are invested in heart-related research. The pumping function of the heart is the result of a rhythmic cycle of contraction and relaxation of about 1010 muscle cells, a process that is controlled by a complex pattern of electrical activation. Electrical activity is essential for the function of the heart, and many heart problems are closely linked to disturbances of the electrical activity. In fact, most serious heart problems either result from, or cause, abnormalities in the electrical activity. This close link between the electrical activity and heart problems is the basis of the diagnostic power of the electrocardiogram, or ECG, which is the oldest non-invasive tool for diagnosing heart conditions. The ECG is a recording of electrical potential differences on the body surface that result from the electrical activity in the heart. These potential differences are caused by sources of electrical current in the active heart muscle, and they change in characteristic patterns when the electrical activity is disturbed. Worldwide, it is estimated that about one million ECG recordings are performed every day, which makes it the most widely-used tool for heart diagnosis. It may be used to detect a variety of different pathological conditions, such as rhythm disturbances caused by conduction system abnormalities, infarctions, and ischemic heart disease. The electrical activity of the heart is a well-studied process, and there exists a vast store of knowledge, both of the small scale processes occurring in the cells and of the organ-level pattern of electrical activation. Even so, there are a large number of mechanisms that are not fully understood. The organ-level electrical activity of the heart is the result of billions of small-scale processes occurring in the cells, and the existing knowledge of how all these processes interact is very limited. A very promising technique to extend our knowledge in this field is the use of mathematical modelling and computer simulations. By formulating precise, quantitative descriptions of the small-scale processes, these models can be combined to form mathematical models of larger systems. This field is often referred to as integrative physiology, and has the potential to improve significantly our understanding of how small-scale processes interact to form the functioning organ. Researchers are experimenting with virtual hearts partly because it is easier than tinkering with or peering into a living, beating one. As Alan Garfinkel, a cardiologist at the University of California, Los Angeles, says, "You can't get the light into the meat." For the case of the electrical activity of the heart, improved understanding may lead to improved treatment techniques and diagnosis, for instance in the form of more precise ECG analysis. The focus of this book is on computer simulations of the electrical activity of the heart. Particular emphasis is placed on simulating ECGs, but the simulation results have a number of other applications as well. We do not attempt to give a detailed description of the general physiology of the heart, but focus on the mathematical models and related computational issues. However, to motivate the mathematical models, we will here provide a very brief description of the ECG and the electro-physiology of the heart. Readers interested in a more thorough discussion of these fields may consult, for instance,  or a general textbook on physiology, such as . The first human ECG was published in 1887 by Augustus D. Waller . 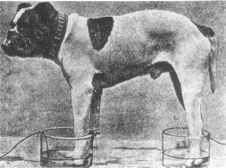 Waller gave several demonstrations of his techniques, many of them involving his bulldog Jimmy standing with his paws in buckets of saline, see Figure 1.1. The conducting solutions in the buckets acted as electrodes, and were connected to a device that recorded the electrical potential difference between the two electrodes. The potential difference was seen to pulsate in rhythm with Jimmy's heart beats, and Waller presented evidence to support the idea that the potential differences resulted from electrical activity in the heart. Waller was also the first to use the term electrocardiogram. Fig. 1.1. The famous demonstration by Augustus D. Waller, recording the electrocardiogram of his bulldog Jimmy. electrodes. Strictly speaking, it is not possible to measure the electrical potential in a point; only potential differences may be measured. 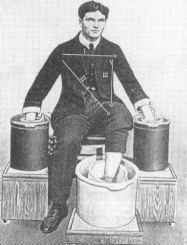 As illustrated in Figure 1.1, Waller recorded the potential difference between two of Jimmy's legs, and similarly, Einthoven used the three limb electrodes to record three potential differences. The potential differences were called leads I, II, and III, and are illustrated in Figure 1.2. Fig. 1.2. An illustration of the original leads defined by Einthoven. The leads form a triangle on the torso, as illustrated in Figure 1.2. Since the Einthoven leads record changes in the potential difference between two point electrodes, they are called bipolar leads. The potential changes recorded by one lead will be the combined result of potential variations in the two electrodes that define that lead. For instance, we may assume that a given electrical source in the body causes an increase in the potential $LA and $RA, and a decrease of $LL. It is easy to see from (1.1)-(1.3) that the result will be a fairly large, negative signal in lead II and lead III, while for lead I the potential will increase in both electrodes, resulting in a small or zero signal being recorded by that lead. A schematic view of a typical ECG, i.e. a recording from one of the leads, is shown in Figure 1.3. The figure shows how the potential difference recorded by one lead changes during a heart cycle. Time is shown along the horizontal axis and the potential difference on the vertical axis. The straight line segments in the ECG, where the recorded potential difference is zero, corresponds to intervals in the heart cycle when there are no sources of electrical current in the heart. The five deflections in the ECG are results of current sources arising in the heart during the electrical activation of the tissue. The five deflections were first identified by Einthoven, who introduced the notation P, Q, R, S, and T. The first signal is the P-wave, while the next three signals form a combined signal called the QRS-complex. The last signal of the normal ECG is called the T-wave. Understanding the physiological origin of each signal requires some basic knowledge of the signal propagation in the heart, and will be described below.